Toronto Laptop Repair. Toronto Laptop Repair. Toronto Notebook Repair & Service. Toronto Laptop Repair service on the market. In our team working highly professional technicians with years of experience and knowledge in laptop repair field. Laptop Service in Toronto: We are fixing all models of laptop & notebook computers. Our experienced laptop technicians diagnoses finding problems for all of the models Toshiba, IBM/Lenovo, Sony, HP, Compaq, Dell. If you have any used laptop which not being used, we will buy it from you at a fair price. 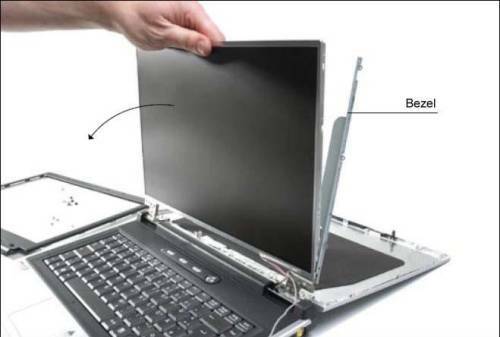 Is your broken laptop sitting around not being used? Laptop Service will buy it from you at a fair price. Toronto laptop repair technicians perform, notebook repair. Our technicians are experienced in troubleshooting and fixing the most challenging problems for brands like Toshiba, IBM/Lenovo Sony, HP, Compaq, Dell and other brands as well. Dell Laptop Repair Toronto: K-V Laptops is your first step option for Dell Laptop repair & Dell Notebook repair. Don't waste your time and money, We can Help you and your company. Sony Laptop Repair Toronto : Toronto Sony Laptop repair is one of the most important goal . We provide Sony laptop and also Toronto Sony Notebook repair services. HP Laptop Repair Toronto :Toronto HP Laptop & HP Notebook repair is the most important goal. Request your free estimate today. We can repair any flaw in your notebook. One easy steps get functioning laptop. Laptop Motherboard Repair Toronto: K-V Laptops technicians can change and/or replace any Laptop Motherboard. Toronto LCD Screen Repair: This problem is really common and we know how fast and cheap fix it. We are best about Laptop's LCD Screen Repair / Replacement. Toronto Laptop Power Jack Repair: We are best of Laptop DC Power Jack Repair facility. We Replace / Repair Laptop Hard Drive for many kind of laptops: Dell Laptop Hard Drive Replacement/ Repair , HP Laptop Hard Drive Replacement/ Repair Thornhill, IBM Laptop Hard Drive Replacement/ Repair, Toshiba Laptop Hard Drive Replacement/ Repair, Lenovo Laptop Hard Drive Replacement/ Repair, Acer Laptop Hard Drive Replacement/ Repair, Sony Laptop Hard Drive Replacement/ Repair .